The Cashmere collection displays romanticism in warm and neutral shades. The knowledgeable craftsmanship gained in over fifty years of woodworking gives the feeling of pricelessness and elegance to this collection. 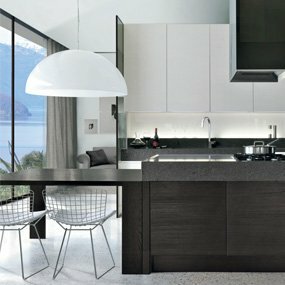 The severity of modern lines and dark walnut and the sweetness of open-pore lacquered oak in a special and timeless “cashmere” colour give a strong personality to the Cashmere collection. Touch becomes a fundamental sense when you brush the surfaces of the open-pore lacquered oak and the silkiness of the marble. Cashmere is worked with the same skill that a tailor would use to prepare a tailored suit. In this way the texture of the wood in Cashmere is able to convey the visual sensation of this noble fiber. The contrast between the different colours of the two woods and the dark “Emperador” marble is impressive. Materials selected for the collection are solid and sturdy. 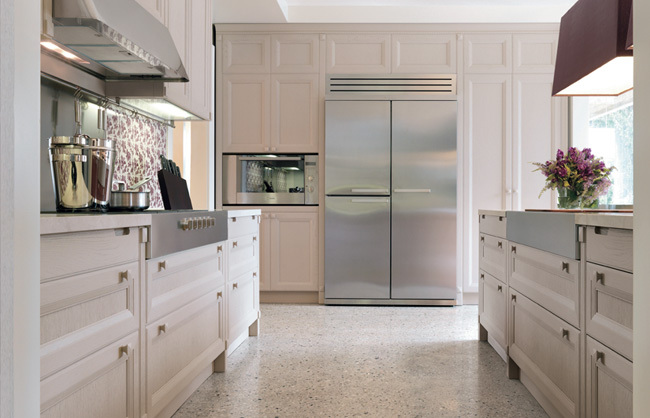 The wood, marble, and iron are chosen to give the project beauty, consistency, and quality. 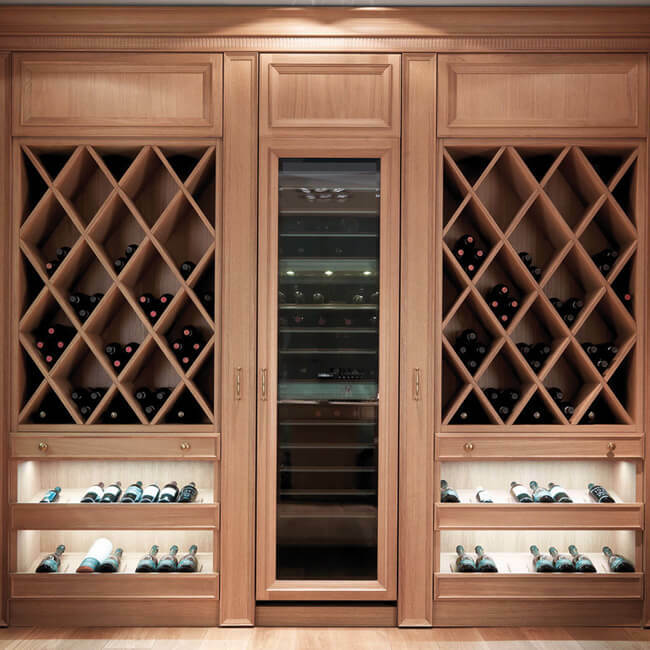 The oak in an open-pore lacquer is interspersed with a matt-finished walnut. 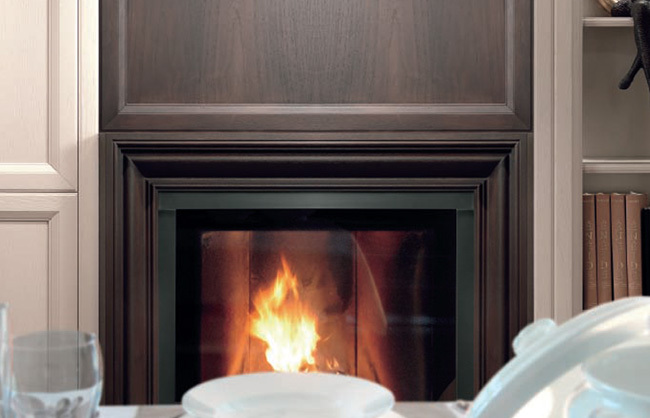 The “Emperador” dark marble with a walnut borders adds an exquisite touch to the collection. The design of this project features a fireplace and panelling that allows for alternating bookcases with openable containers. 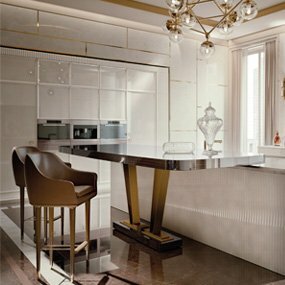 The column with recessed doors containing the cocktail bar gives an unexpected flavour of advanced technology to the classic lines. 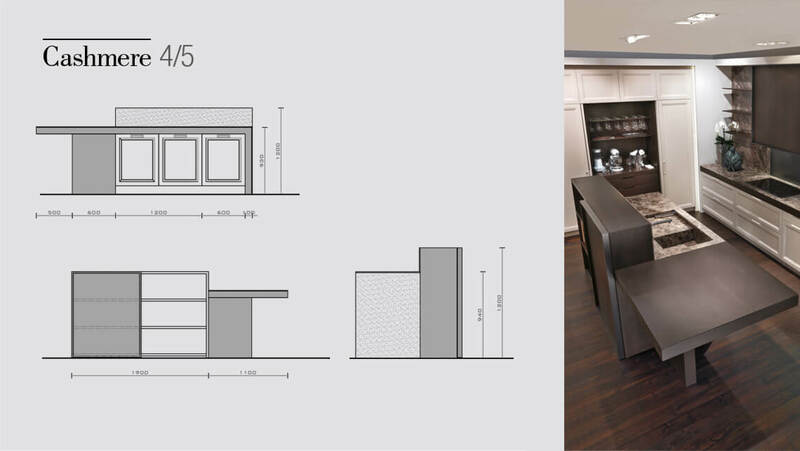 The kitchen is separated from the living area by a large counter and a versatile cabinet with a sliding door. 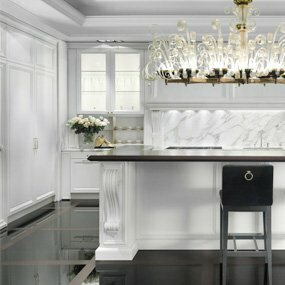 The marble is used in the kitchen wall panelling; it serves as the base for the solid walnut shelves, creating the unique floating effect. 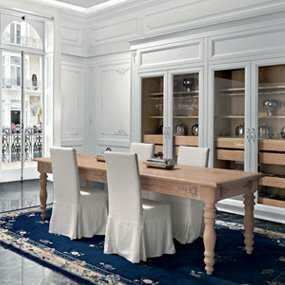 The partition cabinet in walnut with a sliding door is particularly functional and acts as a separator between the kitchen and living room. 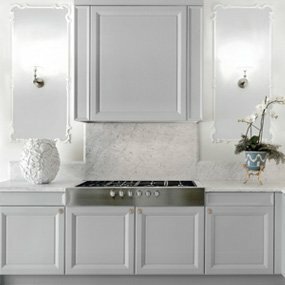 Cashmere offers a traditional European elegance and uncompromising functionality with a new generation of kitchen projects. 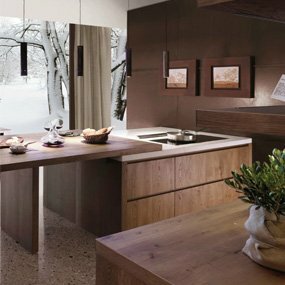 Thanks to the fine finishing, wood exhibits its best qualities and forms an impressive combination with glass and metal trim. Like a historical building in the centre of London, where history and modernism merge, Cashmere’s classic shapes cohabit with wood and modern design. 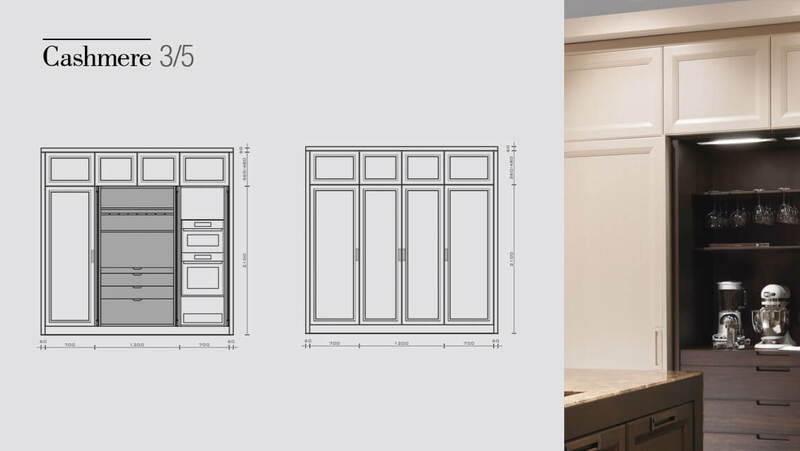 Open-pore lacquered oak doors are topped by a hood in walnut with a swing door and shelves in solid contoured walnut. 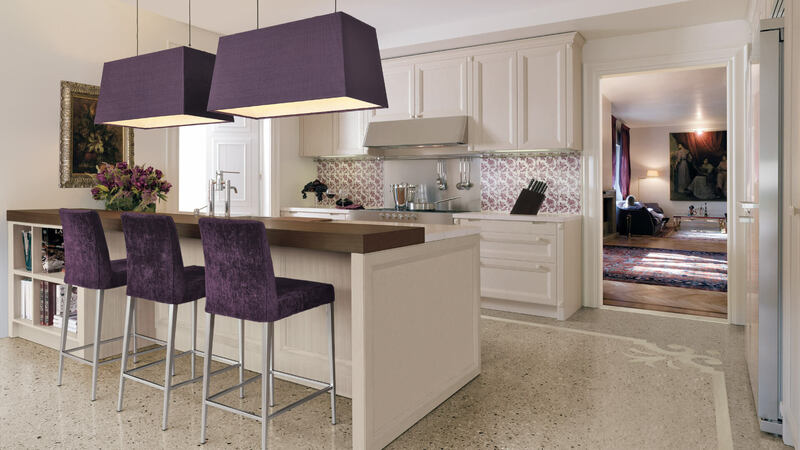 Marble surfaces in “Emperador dark” are embellished by a thick border in walnut finish. Columns are outfitted as a winery, entirely covered in wood, with glass racks, sliding shelves, and drawers in wood. 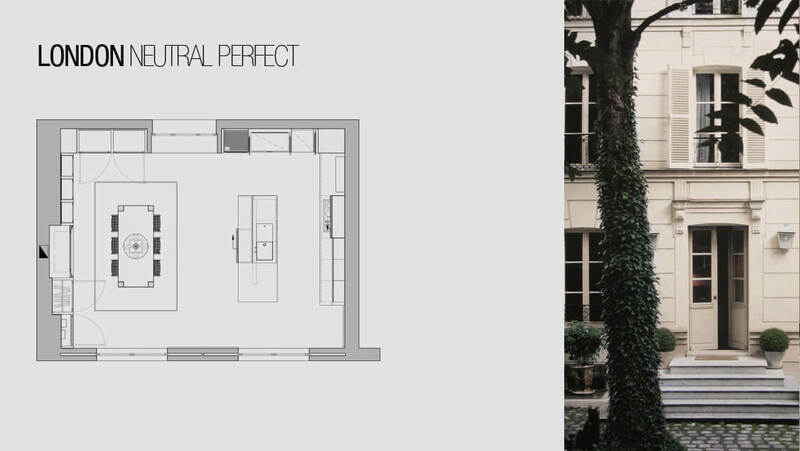 The project also features completely retractable doors. 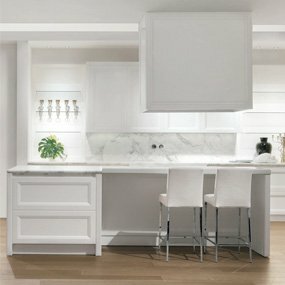 This feature offers an interesting design for the counter cabinet. 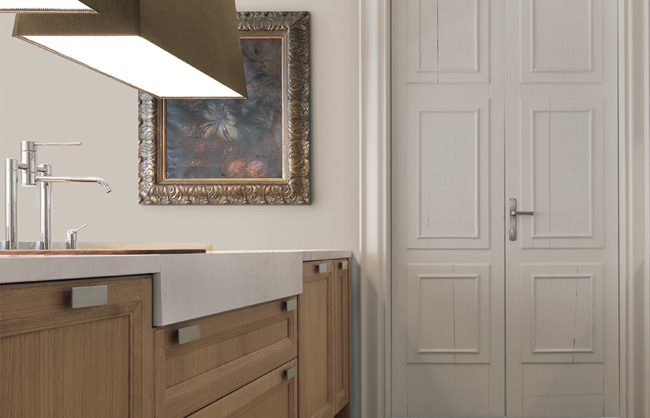 One side of the bar has kitchen cabinets, a marble sink, and wooden counter surface; on the living-room side, there is a walnut cupboard with a sliding door, cleverly solving the problem of separating the two areas of the environment. The lacquered oak panelling of the living area can also be opened and used as a wardrobe. 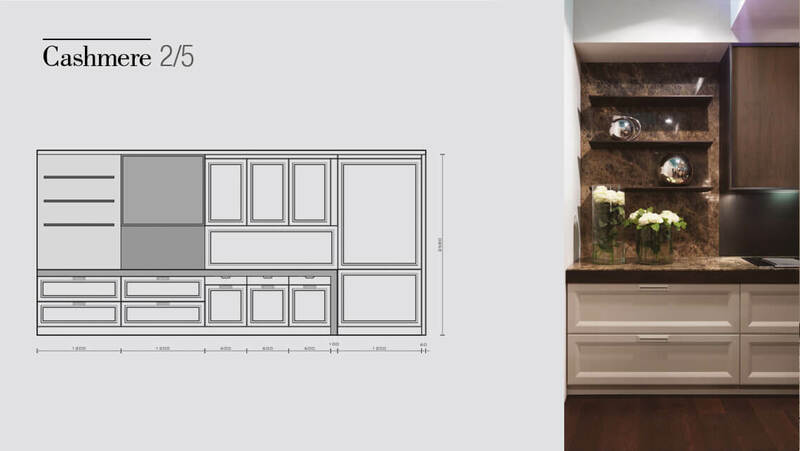 On the right, the customized panelling continues but in walnut, with a customized wooden-framed mantelpiece. 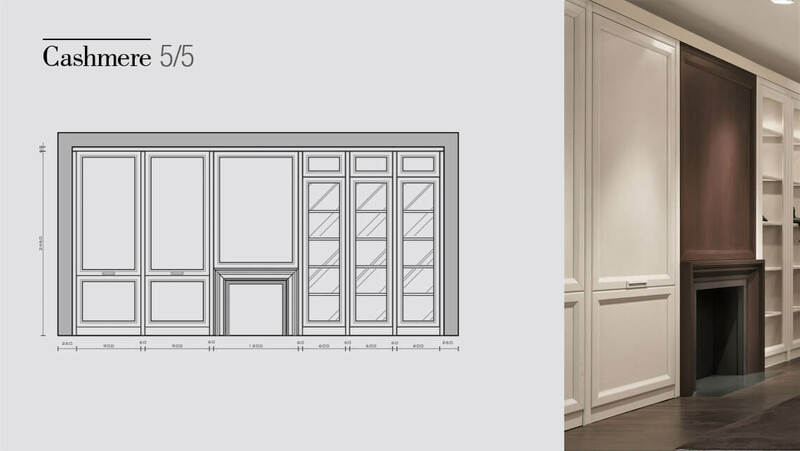 The composition is completed with a display-cabinet column. 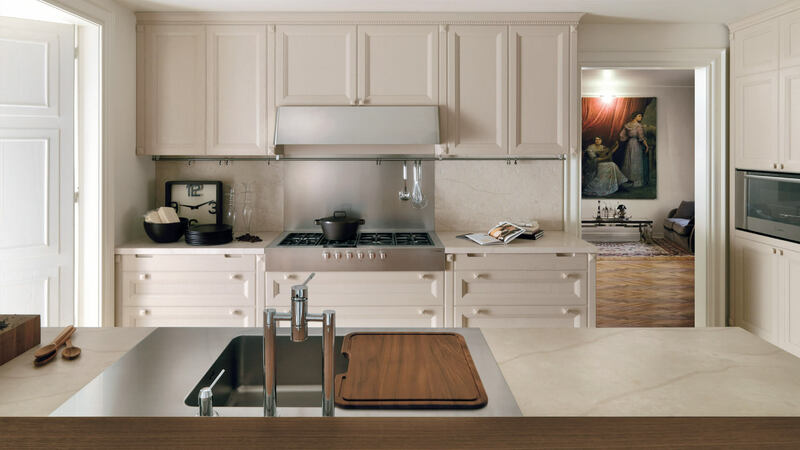 Be the envy of the block with a luxury kitchen that never compromises on quality or design.